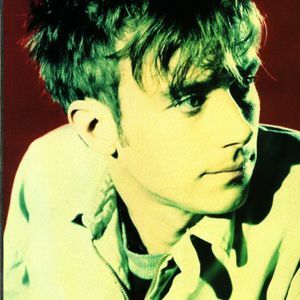 Damon Albarn, a vocalist / keyboardist from the UK, is best known as the lead singer of the band Blur. He, along with Tank Girl creator Jamie Hewlett, formed the virtual band Gorillaz, as part of which he is a vocalist and multi-instrumentalist. One of his projects is the supergroup The Good, the Bad & the Queen, where he plays the keyboard and sings. Other members of the band are Paul Simonon (bass, The Clash), Simon Tong (guitar, The Verve) and Tony Allen (drums, percussion). One of his projects is the supergroup The Good, the Bad & the Queen, where he plays the keyboard and sings. Other members of the band are Paul Simonon (bass, The Clash), Simon Tong (guitar, The Verve) and Tony Allen (drums, percussion). Their album (released in early 2007) is produced by DJ Danger Mouse (producer of Gorillaz album "Demon Days", member of Gnarls Barkley). The Marvelous Dream Songfacts says that another of his projects is Dr Dee, an opera created by Albarn with theatre director Rufus Norris. The work is based on the life of Dr. John Dee (1527-1608), an Elizabethan courtier who was also a mathematician, alchemist, astrologer, spiritualist, philosopher and spy. The opera's debut performance was at the Palace Theatre, Manchester in July 2011, as part of the 2011 Manchester International Festival. The soundtrack was released on May 8, 2012 by Virgin.